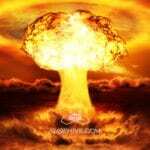 Need debris, destruction, bomb blasts, and chaos recorded in high definition sound with multiple perspectives and tons of different materials? Of course you do! As sound designers, we always need these types of highly useable sounds, and with the creation of Matter Mayhem, we’ve gone above and beyond. Spanning 5 months of recording out in the field and designing in the studio, SoundMorph is very proud to bring you one of our largest produced libraries ever! If you need debris and destruction, Matter Mayhem is a solid choice to add to your collection! 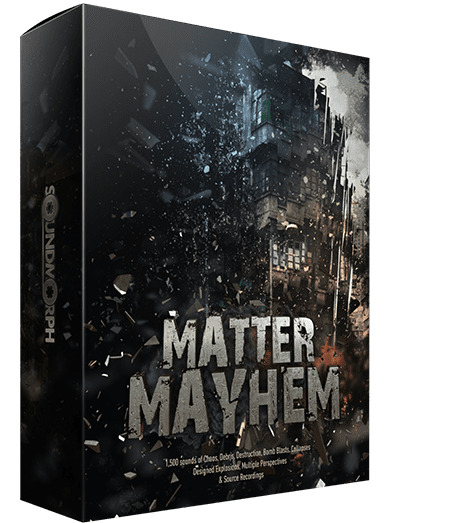 Matter Mayhem was created in collaboration with Frederic Devanlay (Sinematic, Solar Sky) and Cedric Denooz (Future Weapons), and contains 1,500+ sounds / 5.75Gb of 24bit/96khz .WAV files,all meticulously embedded with Soundminer & Bashead metadata. Including: Big Blow Ups – Stoney Structures, Big Blow Ups – Wood Structures, Near, Mid, and Far Perspectives, Bomb Blasts, Blow Ups – Stone, Pebble, Metal, Wood, Debris – Stone, Wood, Glass, Plastic, Collapses, Scaffold Impacts, Whoosh Objects, Designed Debris, First Person Debris, Metal Objects.